The school is affiliated to ICSE and it strives to maintain academic excellence so that in today's competitive world the students may be able to proceed to institutions of higher learning of their choice in India and internationally. The present course of studies extends from kindergarten to pre University College. The medium of instruction is English. Students are prepared for the SSLC (State Board), ICSE and the PUC. 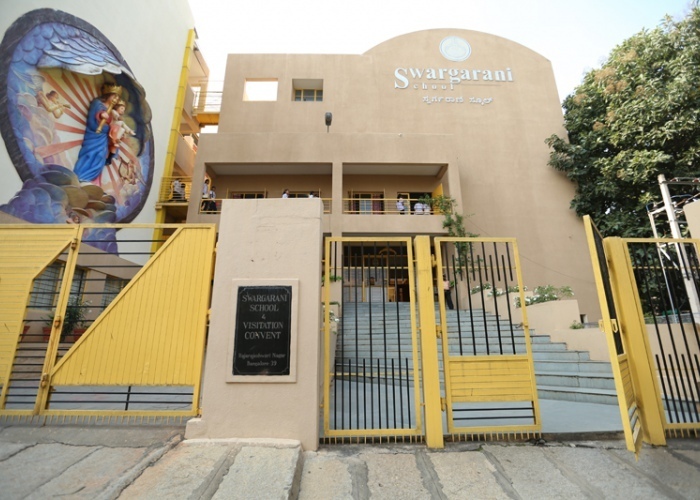 From its inception, the school has been maintaining high academic excellence. We feel proud that the standard of education and knowledge in school has reached the zenith and continues to find new zeniths. Equal responsibility on teachers, students and parents make the achievement of 100 % result a reality. All students will have to appear for an entrance exam in English, Mathematics and Science to qualify for admission. As a matter of policy we do not admit students in Class X and PUC II. The entrance test will be held on any day between March and May. Every year the admission will be confirmed only after assessing the child in written test and personal interview. The outstanding performance of the school is evident from the innumerable laurels achieved in numerous competitions. The spirit of participation, discovering inborn talents, pleasures of winning, lessons of failure are all a part of personal growth needed for fuller development of the young mind. The schhool has received the cent percent award from the Karnataka state education board for the fourth time in a row along with a cash prize. The first batch of ICSE students also passed out with flying colours in the academic year 2006-07. Our students’ flooded interschool competitions held in the area by Rotary Club. Students triumphed a whopping 20 plus prizes in their kitty. Parents are advised to adhere to the school calendar of events before planning vacations. No leave will be granted during working days. Attendance on the last working day and the day of re-opening of academic session / re-opening after midterm/ Christmas vacations is Compulsory. Names of students absent on re-opening days will be struck off the rolls and parents will have to seek re-admission. If a student is sick and has not attended school for 3 or more days, the same must be reported to school when he/ she comes back. A medical certificate issued by a registered medical practitioner must be produced. Parents must notify the Principal if a student is absent due to prolonged illness. Students indisposed with a communicable / contagious disease must return only after he/she has been certified fit. All requests must be made in writing to the Principal in the Hand Book only. The request must include details of the addressee and purpose for issue of said certificate. The certificate shall be issued after two days of receipt of request. No certificates shall be issued during school vacation. All annual payments including transport charges must be remitted at Andhra Bank, Raja Rajeshwari Nagar. Kindly retain all challans and receipts for the academic session and produce them when required by the school. Bus facility can be availed by the students. Please contact school office for details. Parents who wish to withdraw their wards during the academic session must inform the Principal in writing at least two weeks in advance. Applications for TC must be submitted to the school office on or before 31st March .